The procedure to place an implant takes about 45 minutes for one implant and about 90 minutes for multiple implants. 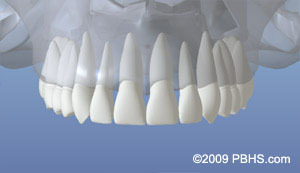 Full-arch (same day) implant, or “immediate load” full-arch restorations will take longer. The number of appointments and time required, vary from patient to patient. A local anesthetic will be administered to numb the area where the implant will be placed. For some patients, minimal oral conscious sedation can be discussed. For more information about the Dental Implant process or to schedule a consult with Dr. Horalek, please use our Contact Us form or call our endodontic office in Raleigh, NC at Raleigh Office Phone Number Raleigh Office Phone Number North Raleigh Endodontics Office Phone Number 919-256-3996. Dr. Horalek will bring great precision and attention to your case by treatment planning the case digitally (merging cone beam computed tomography with optical, surface scan technology) and performing guided surgery. When you are comfortable, Dr. Horalek will gently place the implant fixture (or post), using a template guide. This is most often done without an incision (flapless), therefore resulting in minimal trauma. The top of this implant is often visible through the gum. Sometimes the implant is covered by the soft tissue during healing. 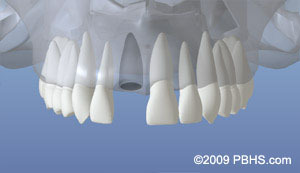 Other times a healing abutment will be placed to contour the gingiva while the implant is healing. Call our office to review your dental implant options: North Raleigh Endodontics Office Phone Number 919-256-3996. Implants are often placed several months after extraction. At times, an implant may be placed immediately after extraction of a tooth. If the conditions are favorable, this simplifies the process—you won’t have to wait for another appointment to place the implant. Now the healing begins. The length of time varies from person to person, depending upon the quality and quantity of bone. An average time period is about four months. In some cases, implants may be restored or provisionalized immediately after they are placed. Dr. Horalek and his team will advise you on follow-up care and timing. Call us with your questions: North Raleigh Endodontics Office Phone Number 919-256-3996. Our scheduling coordinator will contact you to confirm your appointment. If you are an existing patient, this contact form should not be used to communicate private health information.